The 21st century parking solution is here...!! Due to rapid urbanization in India, most of the cities are experiencing space-crunch especially for the parking space. Thus, in 21st century, the 'Smart Cities' need 'Smart Solutions'. To counter this issue, Pune based Scout Infrastructure P. Ltd. has come up with a solution that is perfect for urban as well as semi-urban areas. The company calls it 'Smart Parking' solution. 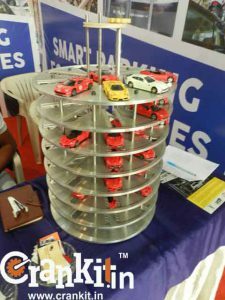 A miniature model of 'Smart Parking' was displayed at the recently concluded Pune Auto Expo 2017. According to Scout, the ‘Smart Parking’ is a customizable solution for parking cars. In addition to the usual mechanical devices, the company also uses unique design and technology, robotics and advanced automation for its product. Thus, one can implement the ‘Smart Parking’ solution in a number of ways, shapes and sizes. What are benefits of using Smart Parking? Smart Parking takes care of the concerns of its stake-holders in many ways. It helps landowners by maximizing the use of their space. It is also useful for builders by minimizing the cost of construction. Moreover, it is useful for business managers because it minimizes their operating costs. For drivers, it provides greater security and ease of use as well. According to the company, Smart Parking space saving solutions are easy to implement and operate. Furthermore, the company also claims that it can design the system to house cars of any dimensions and weight. Thus, it can handle any number of automobiles simultaneously. 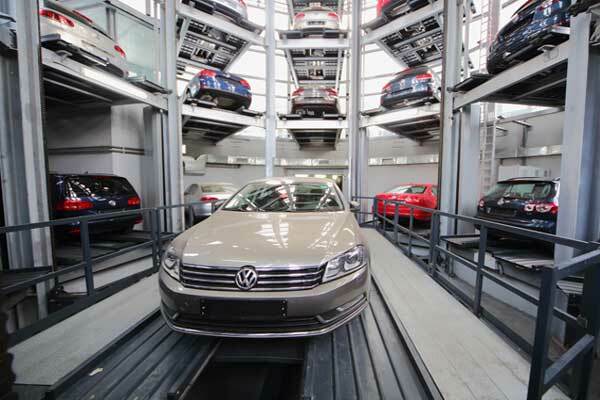 The ‘Smart Parking’ System can park as many as 109 cars in 2400 sq. ft. of land. Besides, the entire system is made of steel while the civil construction is only needed for its foundation. According to Scout, their systems are portable for 50 cars and they can be easily assembled / dismantled as per the customer's needs. You can retrieve cars using SMS or Web apps.